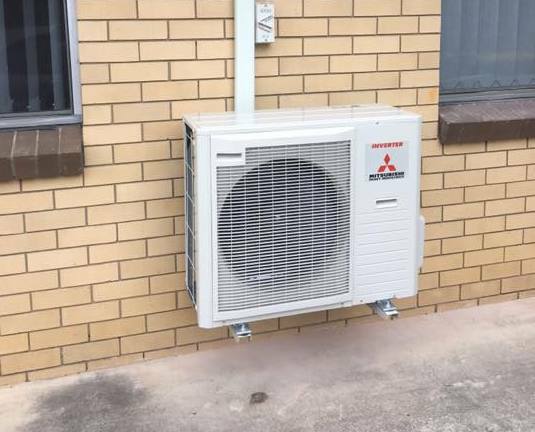 One needs a qualified contractor for the proper installation, maintenance, and repair of your system of commercial air conditioning in Brisbane. You would come across numerous air conditioning service providers popping in various parts of Brisbane. How do you select the most suitable one? A business needs varied and complex air conditioning solutions as compared to the residential properties. This is due to a larger amount of area and greater numbers of hours of use. Read on to find out the tips for hiring reliable and affordable commercial air conditioning services in Brisbane. The best way to come across a dependable and reliable air conditioning provider is by asking friends and family members. If anyone known to you has used the air conditioning installation and repair services in the recent past, find out if they were happy with the work. Moreover, they may give some amount of information on what you can expect from the air conditioning repair service in Brisbane. Look for reviews: You can find out about how the service treats their customers by searching for the reviews and ratings of the services on the internet. A contractor who is reputable and popular amongst the customer should be easily found on the internet in a 1-minute search. Check their services: Not all HVAC contractors provide the same services. Check the service the contractor provides before you hire them. Make sure that the contractor is a long-established one and experienced in rendering commercial air conditioning services. You can also ask your prospective contractor of commercial air conditioning in Brisbane to give you references. Get at least three references to past clients and talk to them to ensure that you are making a good decision. Years of experience in the field: It is never advisable to hire a novice for the installation, repair or maintenance job for HVAC system. Commercial air conditioning units are expensive devices and require handling by an experienced technician. Make sure only a seasoned worker comes to do the job at your place. The wrong handling involves the risk that the problem becomes aggrandized and you end up replacing the system. Safety: This is one of the highly important reasons for hiring a licensed HVAC contractor. Never hire anyone who is skilled, licensed and insured. Without proper training, it can prove to be dangerous and costly to tamper with an HVAC system. On the other hand, a skilled technician can handle the problem leading which if not looked into ca cause premature malfunction. On-site inspection: There is a price attached to every service. However, one has to determine if it is worth paying. Many of the contractors are not able to render the quote over the phone. An experienced contractor would visit your place and insect the system before giving you a price statement. If you hire a contractor accomplished in installation, repair and maintenance work, it would increase the longevity and efficiency of your system while cutting down costs. Taking into account the above information, one can make a prudent choice for hiring the right service for commercial air conditioning in Brisbane. For more information, visit Aircon Brisbane.